It’s springtime and thing’s are starting to heat up within the community (drink!). This past weekend BURNcast went out in the field to learn more about burner art projects taking place at Coachella and Xara Dulzura. Stay tuned as these recordings become available on-line in the next few weeks. 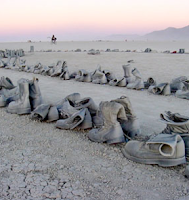 Until then, we’d like to take the opportunity to share with you a podcast interview with Tom LaPorte of Burning Man Information Radio as he heads down south with “Burners Without Borders” to cover Hurricane Katrina’s relief efforts. Note: This podcast was produced by our friends at the Viking Youth Power Hour and was originally posted on April 26, 2006. It is separate and independent from BURNcast. 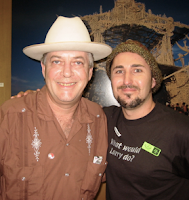 The first in a two-part series, we talk to Larry Harvey and Danger Ranger about Burning Man’s relationship to the media, specifically television. Then, Maid Marian joins the discussion about the spiritual aspects of Burning Man, including the true meaning of the event (if any), the 10 Principles, religion and the regional network. Finally, we “pull back the curtain”, going behind the scenes to talk about the business, resources, logistics and operations involved in the Burning Man Arts Festival. Recorded live on January 31, 2006 in San Francisco, CA.